H-E Parts is continuously investing in innovations. This is especially evident at our Billings, Montana Cylinder Shop. Over the last 12 months, each area of the facility was evaluated and improved upon, with the goal of improving capacity and quality to provide greater value to our customers. 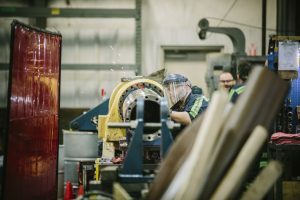 By investing in newer, faster, and more accurate equipment, H-E Parts has been able to increase our production rates while providing higher quality products so that you can get your equipment back up and running sooner and for longer. 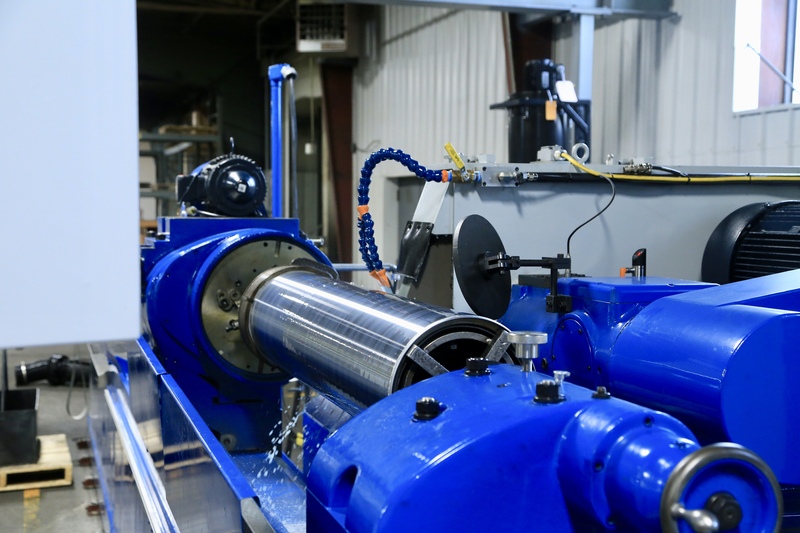 Separate teardown, inspection and assembly eliminates cross contamination potential. New surface analog (profilometer) ensures surface of honed housing and chromed rod match manufacturer requirements. Sunnen 6 Meter Cylinder Tube Hone significantly improves finish and accuracy throughout the length of the tube. Chrome Tank maintains precise temperatures for improved plating consistency, hardness, and thickness quality. Larger Capacity Oven maximizes safety, quality and durability of parts. Secondary heating process prevents potential failure of the chrome plate. The Billings, Montana Cylinder shop is just one of our many global locations that provides innovative, cost-effective solutions for our customers. With locations in the United States, Canada, Chile, Peru and Australia, our team is proud to be a global leader in mine and industrial maintenance. 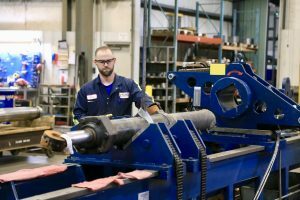 H-E Parts’ cylinders are inspected, repaired and rebuilt to our own engineering specifications. 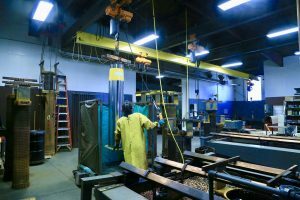 Proprietary tooling and repair procedures are used to help ensure rapid turnaround times and long-life rebuilds. 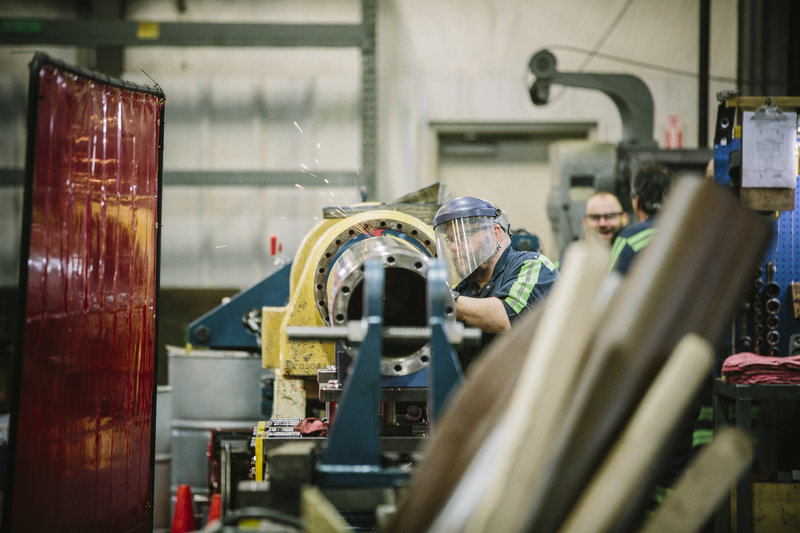 With H-E Parts’ in-house engineering and manufacturing capabilities, we are able to offer our customers customized designs tailored to suit their specific equipment needs.